Perhaps a small step, such as viewing easily available material, would set the record straight. These UN human rights "experts" might, for a change, glance at the videos and photos coming out of the Gaza Strip to see who is really responsible for war crimes and crimes against humanity: Hamas. Its members are opening fire at peaceful protesters, who are taking their lives in their hands to end the harsh economic conditions created by their rulers' catastrophic policies in the Gaza Strip. 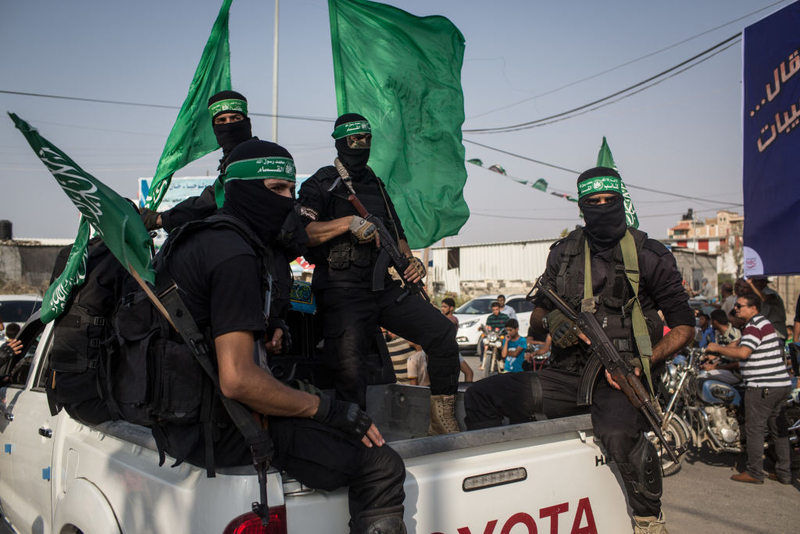 It is the leaders of Hamas, and only Hamas, who are committing war crimes in and around Gaza. They are committing war crimes against Jews and they are committing war crimes against their own people. As far as Hamas is concerned, one of the best ways to divert attention from the growing frustration with its rule is by attacking Israel and Jews. Then, Israel is forced to respond to defend itself. That will allow Hamas to tell its people that there is no room for internal fighting and disputes "because we are under attack by the Jews." No Palestinian would dare to criticize Hamas while Israel is supposedly "attacking" Hamas. Anyone who did so would be accused of being a "traitor" and "collaborator" with the "Zionist enemy." That is exactly what happened this week, when two rockets were fired at the Israeli city of Tel Aviv. The rocket attack came shortly after thousands of Palestinians had taken to the streets of the Gaza Strip to protest the horrific economic situation there -- that funds intended for them had apparently been diverted to finance terrorism -- and demand an end to Hamas's repressive measures against its people. The leaders of Hamas were apparently disturbed by the large protests that took place in the Gaza Strip. Hamas leaders also seemed disturbed by the photos and videos showing Hamas members beating, shooting at and arresting hundreds of peaceful Palestinian protesters whose only "crime" was to demand a dignified life, jobs and a better future for their children.